History is one of the most potent weapons of a once-colonized people in the struggle to achieve real independence. On the other hand, history can also be used to perpetuate attitudes of subservience and dependence on former colonizers. Therefore, the point of view taken by the historian in writing about our past is crucial. In the (first stage) past, our history was written mainly by our colonizers. Our image of ourselves and of our past was shaped by the writings of these foreigners, most of whom emphasized the benefits of Spanish or American colonization but disregarded the sufferings such colonization imposed on the people. The second stage came when Filipino historians consciously set themselves the task of writing from the Filipino point of view. Their work gave more emphasis to the role Filipinos played in their own history, discussed the abuses perpetrated by the Spaniards, and presented Filipino resistance to all colonizers with respect and admiration. In general, however, analysis of American colonization was inadequate. In general, moreover, the point of view taken, though Filipino, was in many instances, the point of view of the Filipino elite. A third stage was necessary -the writing of history from the point of view of the Filipino people. Briefly, this means that historical figures, events and developments should be judged in terms of whether or not they advanced the interests of the Filipino masses. Basically, these interests are: control by the Filipino people of their own society and future through ever greater democratic participation in charting government policies, and a better life for all. Anything or anybody that forwards these interests is good, anything or anybody that does not should be criticized. Those who think of history as an "objective" recital of facts may wonder "why" we are talking about point of view. A few examples should convince us that even the barest historical account has an implicit value judgment which reflects a particular point of view. At that time, our constituted authority was the Malolos Republic and the Americans were in fact the aggressors who deprived us of our freedom by the use of force. After Aguinaldo's capture, he branded those Filipinos who continued fighting as bandits, and so did the Americans. In the annals of the American-led Philippine Constabulary, many of the leaders of the resistance to American rule were listed as bandits: Macario Sakay, Luciano San Miguel, Felipe Salvador, Dionisio Magbuelas, to name a few. Why should an event be considered glorious just because the Spaniards deigned to negotiate a pact with Filipinos, implying thereby that they recognized them as men of honor, who, like the superior Spaniards, could be expected to keep their word? From the point of view of the people's interest, the verdict on the pact is the exact opposite. The pact provided that the Spanish government would pay them P800,000 provided Aguinaldo and other leaders would leave the country (Aguinaldo had initially asked for three million pesos). The historians who hailed the Pact allege that the money Aguinaldo and others received was "not a bribe to the revolutionary leaders. It was to indemnify them and their families for the losses incurred as a result of war." But why should these leaders be reimbursed for their property losses? The people suffered and died for the Revolution; they did not expect monetary rewards for their patriotic acts. We have discussed the principal characteristic of a people's history --that it projects the role of the people and judges men and events in terms of the interests of the masses. Since it is the masses who suffer the most from the oppression of foreign rule, a people's history is necessarily anti-colonial. It takes a definite stand that colonialism is wrong, that no country has the right to conquer and subjugate another. Therefore, a people's history carefully examines the colonizer's policies; it shows how these policies served his economic and political interests and what were their effects on the lives of the colonized. It also evaluates Filipino leaders in terms of whether they served the colonial master or defended the interests of their people. Let us take as an example the imposition of free trade under the Payne Aldrich Act of 1909. Filipino leaders opposed free trade. they correctly foresaw free trade would be prejudicial to the Philippines because Philippine exports would all go to the United States resulting in Philippine economic dependence on that country. Moreover, free trade would open the country's economy to control by American corporations. But Filipino politicians depended on the American governor-general for patronage and other favors which kept them in power, so when the Vice-Governor Forbes hinted to Quezon that his opposition to free trade might be dangerous to his career, Quezon quickly changed his mind. A people's history would point out the benefits of free trade to American business and its unfavorable, long-term effects on the economic development of the Philippines. It would also criticize the Filipino politicians for failing to defend the interests of the Filipino people. Let us take one more example. 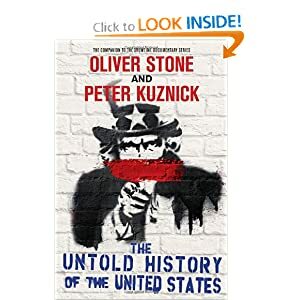 Histories credit the United states with teaching us democracy and establishing democratic institutions. History books hail the elections of 1907 to choose the members of the first Philippine assembly as a democratic landmark. Few realize the significance of the fact that the American colonial administration limited qualified voters to male persons above 21, who had held office under the Spaniards or who owned real property worth P500, or could read, write or speak English or Spanish. Such qualifications prevented the participation of the masses. In fact, only 1.41% of the population voted. Thus, while the Americans provided for the mechanics of democracy, they made sure that the victors would come from the elite class that they were building up for leadership. And sure enough, the candidates were generally from the propertied and conservative families in the provinces. From then on, the elite effectively controlled political power while the masses were given empty illusion of a so-called democratic electoral process. A third characteristic of a people's history is an analytical approach to economic questions and the evaluation of economic developments in terms of the people's livelihood. Such an analysis also examines the interrelations between economic, political and cultural developments. For example, a people's history would expose how the American colonialists used education to mold colonial minds that would not question American control because they had been taught to believe that the American colonizers were benevolent and altruistic and that everything they did was for our own good. 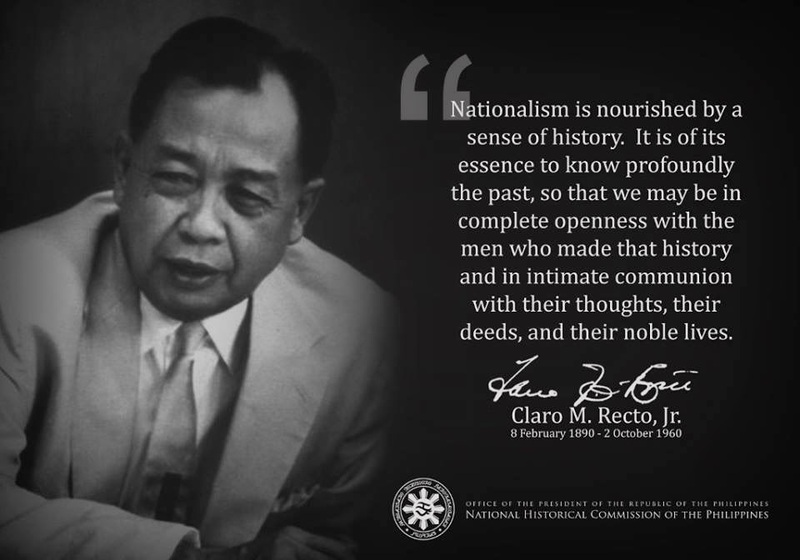 Perceptive Filipinos often complain about the colonial mentality of our countrymen, our tendency to accept western ideas and products as inherently superior, and above all,our failure to pinpoint our real national interest apart and distinct from those of our former colonizers and other foreigners we come in contact with. These failings are due, to a large extent, to an incorrect assessment of our past. A people's history will help greatly in eradicating our colonial mentality. It will make Filipinos more nationalistic, more wary of their former colonizers, more zealous in safeguarding their country's resources for its own people, and more determined to attain control of their political and economic life. it will teach them to identify the various forces that have shaped their present way of life and thinking It will expose the real enemies of their progress, the real obstacles to their attainment of prosperity in freedom. A people's history, therefore, is a liberating history. Pedro S. de Achutegui and Miguel Bernad. Aguinaldo and the Revolution - A Documentary History, Ateneo de Manila, 1972. But, it turns out, according to the Nation's Report Card, or National Assessment of Educational Progress, the federally administered test results released in June 2011, the area in which U.S. students perform most poorly is actually U.S. history. According to the results, only 12 percent of high school students were proficient in U.S. history. And only a scant 2 percent could identify the social problem addressed in Brown v. Board of Education, even though the answer should have been obvious from the wording of the question itself. Truman referred to the July 18 telegram as "the telegram from the Jap emperor asking for peace", that the U.S. knew that the imminent Soviet invasion would finish the Japanese off once and for all -- "fini Japs" when Stalin comes in Truman wrote, that the impact of the atomic bombs was less than decisive because the U.S. had been wiping out entire cities for months with its firebomb raids, and that it was the dreaded Soviet invasion, which proved the bankruptcy of both Japan's diplomatic and military strategy, rather than the atomic bombs, that forced Japan's surrender. History of the citizens of Philippines have been done and acquired for the success of the nationals. Yes, this has been new chapter for the full use of the norms and all organized elements for the waves of the nation.